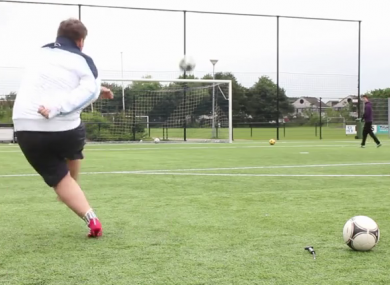 Move over Ronaldo, there’s a new free-kick expert in town. CRISTIANO RONALDO MAY well have brought the knuckleball free kick technique to worldwide attention of late but this Dutch footballer – who describes himself as a YouTube star – may well be its best exponent. We tried a couple of his techniques in TheScore.ie Towers but after two-shattered windows our editor – rather unfairly we feel – asked us to stop. Email “This Dutch footballer cares not for your laws of physics”. Feedback on “This Dutch footballer cares not for your laws of physics”.